It is safe to say a lot of cryptocurrency enthusiasts will be keeping a close eye on the price charts throughout the day. While it remains to be seen which markets will effectively move up or down, the Tron price appears to be in a good place at this time. Solid gains in USD value are always a positive sign, although the TRX/BTC ratio is facing a fair bit of pressure due to Bitcoin’s own uptrend. It is not uncommon to see individual cryptocurrencies, assets, or tokens note a 10% gain when looking across the charts. 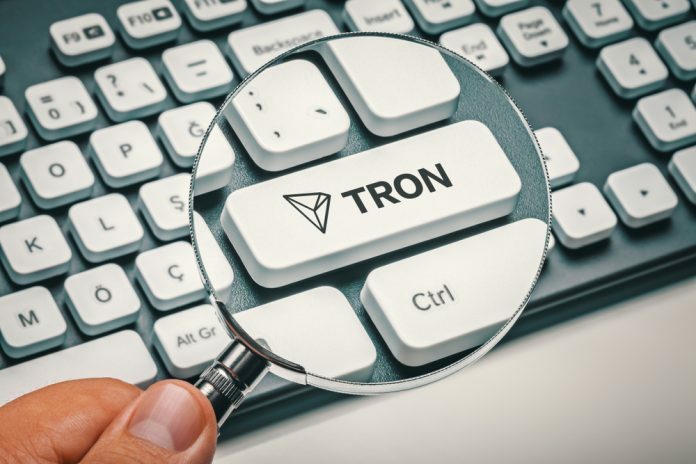 Tron is no exception in that regard, although it is evident there will be a correction sooner or later. With the current uptrend locked in place, many people expect TRX to hit $0.03 at some point this week. Not impossible, but it would require another 15% gain in order to make that happen. Realizing that potential will mainly depend on what happens to Bitcoin for the foreseeable future. To put everything into perspective, it would appear the Tron price has gained 11.2% to bring its USD value to $0.026217. On the TRX/BTC front, however, things are not looking that great. A bet 2% loss is not entirely abnormal when Bitcoin turns bullish. In fact, most altcoins will struggle in the BTC department when the world’s leading cryptocurrency resumes its bullish trend. For now, the 560 Satoshi level should hold true for TRX, but it is possible a further decline will kick in later today. Even though the Tron ecosystem keeps growing, not all of its dApps should be trusted. CryptoRob isn’t too amused with the Tron Village dApp, which has seemingly taken his money and bailed. Although it remains to be seen if there is a logical explanation for turn of events, he expects to be out of 11,200 TRX. That represents nearly $300 at the current price. While this may seem insignificant to some, it is evident such dApp experiences can cause serious problems for the associated currency. In more positive news, it would appear CryptoCompare has now officially introduced support for TRXMarket. While this will not have an impact on the price whatsoever, the TRXMarket is an important decentralized marketplace solution to promote the Tron project as a whole. Gaining such recognition at an early stage is a major step forward, although there is still a lot of work to be done regardless. CryptoNelly, who initially wasn’t a big fan of Tron by any means, has now seemingly appreciated what the community is doing. Its dApps are seemingly straightforward to use, which can help put Tron on the map as a whole. The big question is whether or not other blockchain and dApp ecosystems will experience similar growth and appreciation over time. There are still a lot of hurdles to overcome for Tron and other projects prior to dApps becoming mainstream, though. I’m not even gonna lie. I wasn’t a fan of #tron but the experience ive had using dApps on the blockchain is soo damn easy.. I hope other blockchain can learn from this so we can get this ball rolling! As long as Bitcoin remains this bullish, it is likely Tron and other markets will note similar momentum moving forward. However, the Bitcoin will undergo a price correction sooner or later, which can spell trouble for the altcoins, tokens, and digital assets on the market. As far as TRX is concerned, the USD value should remain above $0.026 without too many problems. The pressure on TRX/BTC, however, will not necessarily relent all that soon. Previous articleIs VeriBlock to Blame for the 500% Rise in Bitcoin Transaction Fees?